The majority of our Less Than Truckload shipments typically originate within a 100-mile radius of Philadelphia, Pennsylvania. Our localization allows us to provide very timely LTL shipments at very competitive rates. 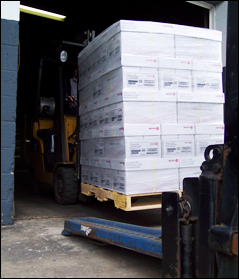 If you are located within 100 miles of Philadelphia and you have a shipment of multiple pallets or drums but don’t have enough for a full load, give us a call. We would be happy to provide you with a quote.